One of the spaces in the home that most homeowners pay less attention to is the basement. The basement in most homes has turned into a base for spider webs, littered with cluttered boxes or may have ill-connected warning and plumbing fixtures. The basement is a very important part of the home than being a dump house or storage space as they offer a great potential to offer extra space and comfort you so need in your home. Basement renovation not only adds extra space to your home but also increase your property value whether you choose to turn it to a home office, basement suit, game room or bedroom. Before starting out a project planning, there is need to carry out strategic planning. 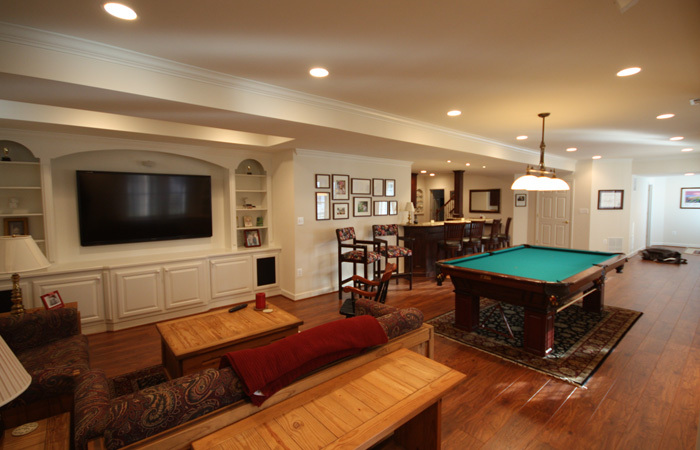 Take some time to strategize and draw out a plan on how you want your basement to look. Some of the factors to consider include how to upgrade the ceiling area, flooring and lighting to achieve its purpose. Before carrying out a basement renovation, you might have planned out the purpose the basement will serve. If you are planning to renovate the basement into a home office space, then you know the plan will be quite different when planning another family space. The basis behind your basement renovation will be guided by your idea and the function the space is to serve. When renovating your basement into a home office, do not forget to include shelves, desks and storage space and if it’s to serve as kids play rooms you should include washable window coverings, flooring, and a space where toys and other play items will be stored. Remember that when planning a basement renovation, the driving force will have to be function of the room. One of the vital parts of a basement that shouldn’t be overlooked during renovation is the ceiling. If you are quite observant you will discover that most unfinished basements also feature ill decorated ceilings where you can find all sorts of unkempt items such as plumbing pipes, electric wires and cobwebs. As a result, you need to have a look into the visible electrical wires and plumbing accessories hanging all up through your ceiling and put them in place. You can decide to use suspended ceilings which can be functional and elegant at the same time. You can also find suspended ceilings in a wide range of styles and designs to meet your basement renovation requirements. For the fact that your basement does not have access to natural light, you will need to consider lighting. Lighting makes your basement look colourful only after its renovated completely. Do your shopping and choose the lighting that meets your requirements. Lighting helps illuminate the basement and brings out the colourful and elegant decor of your basement. You should also know that an office space will require a much brighter light so you can easily carry out several tasking jobs. Basement renovation should reflect your style and taste!